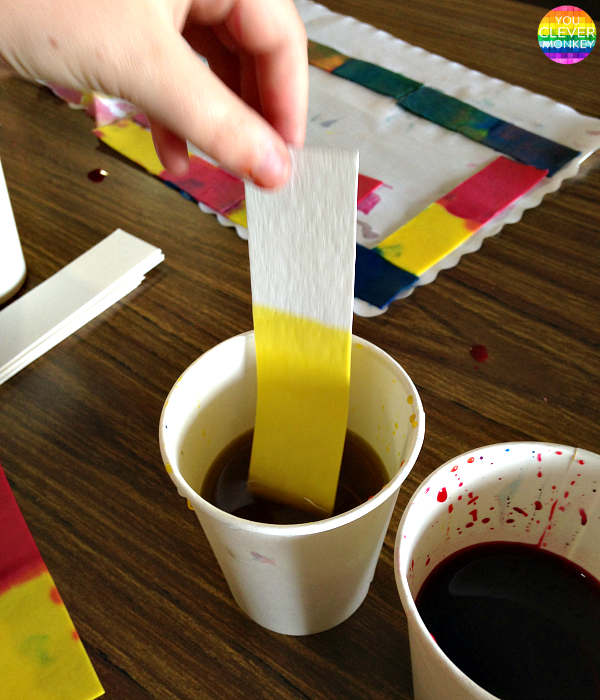 A fun hands-on way for children to learn how secondary colours are made from primary colours! 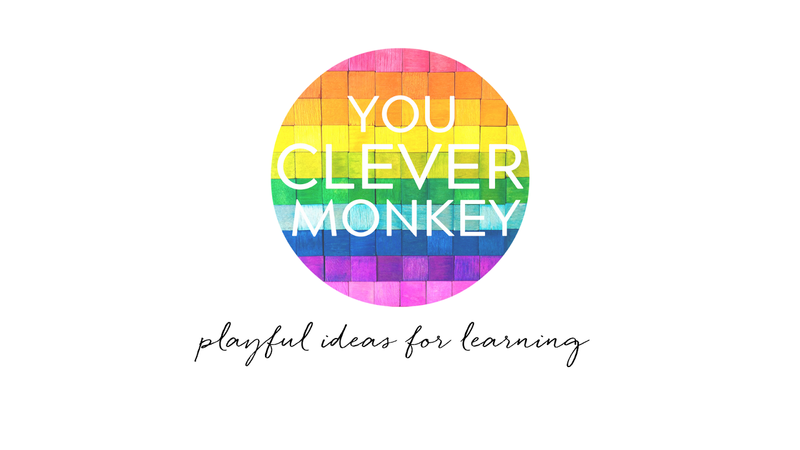 We're all about finding simple playful ways to learn - ideas you can do just as easily at home as in the classroom. Over the past few days we've been sharing some easy play ideas which use only few materials and are simple to set up at home. You can read one, two, three, four and five later. 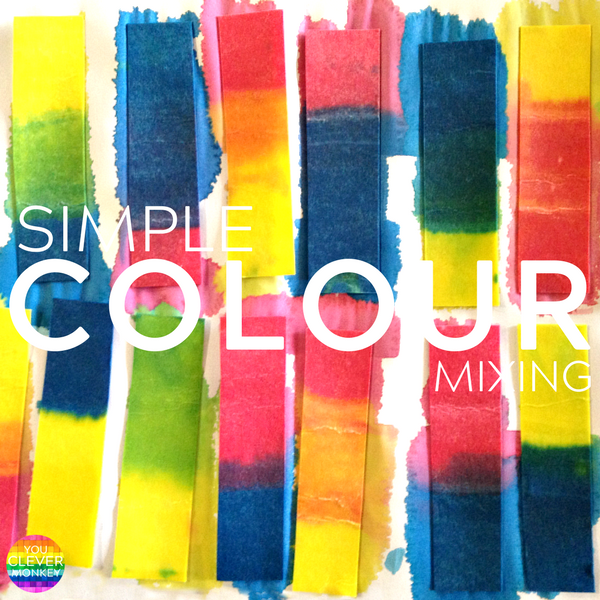 Today we did one of our favourite activities - mixing colours. 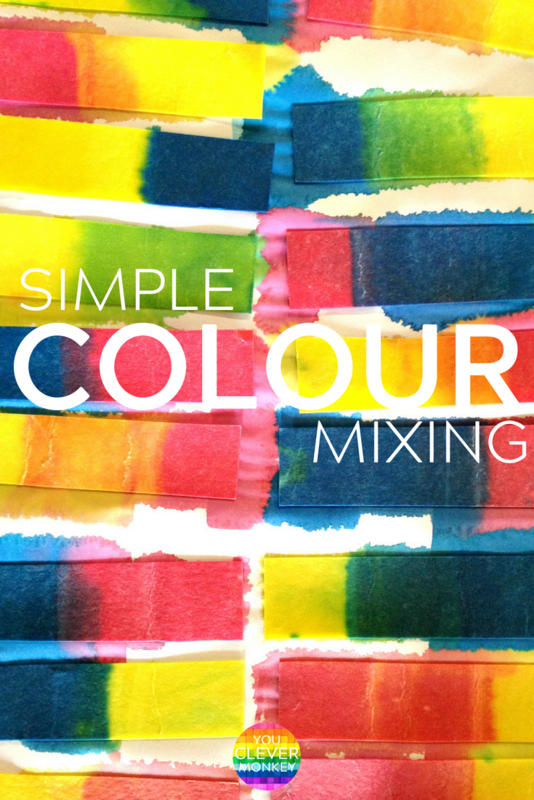 We love experimenting with colour. 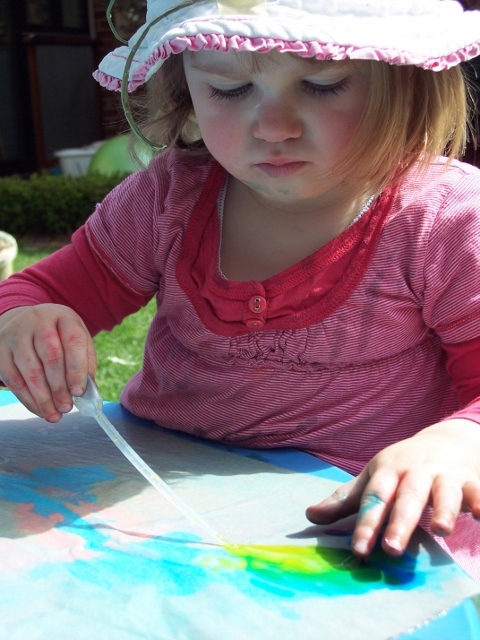 Frequent visitors here will already know this but if this is your first time here, we written before about colour mixing with playdough and paint, colour mixing with paint, colour mixing by making chalk paint. 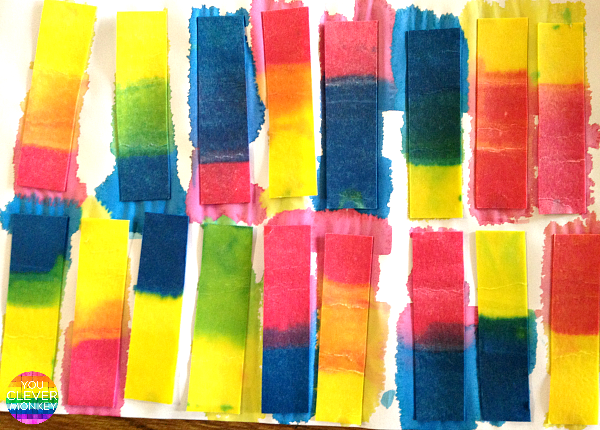 Today's easy play idea was a scaled-down version of our dip dye art. 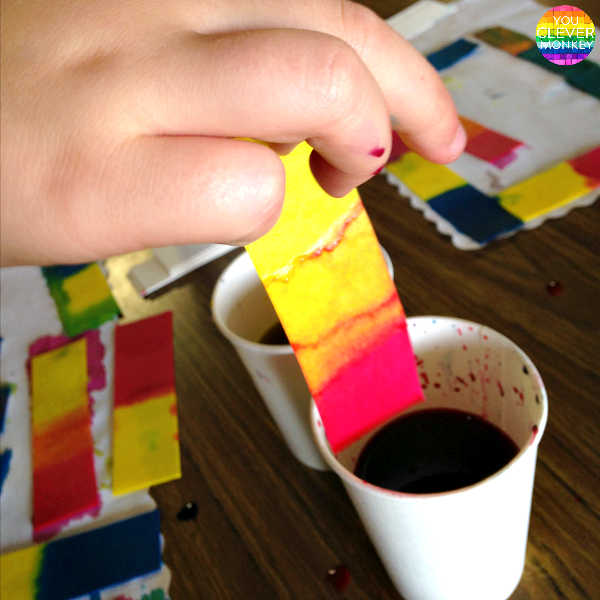 The process is simple and it's a fun hands-on way to learn how secondary colours are made from the three primary colours of red, blue and yellow. Just dip one end of the paper into one colour covering two thirds of the card then remove it. Turn it around and then dip the other end in an alternate colour. 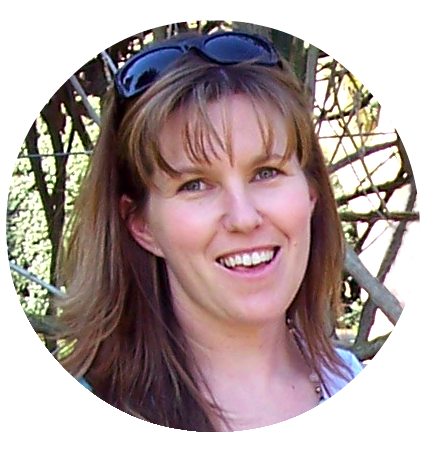 The ahhh moment comes when children realise a new third colour has appeared in the middle, a secondary colour. Of course you can't just do one or two, you have to do many! 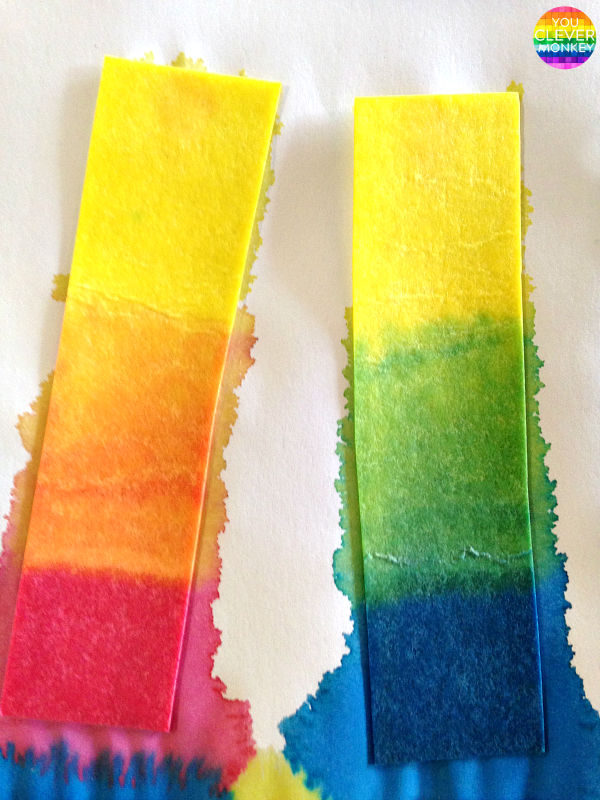 We're thinking these will make great bookmarks when they're dry. 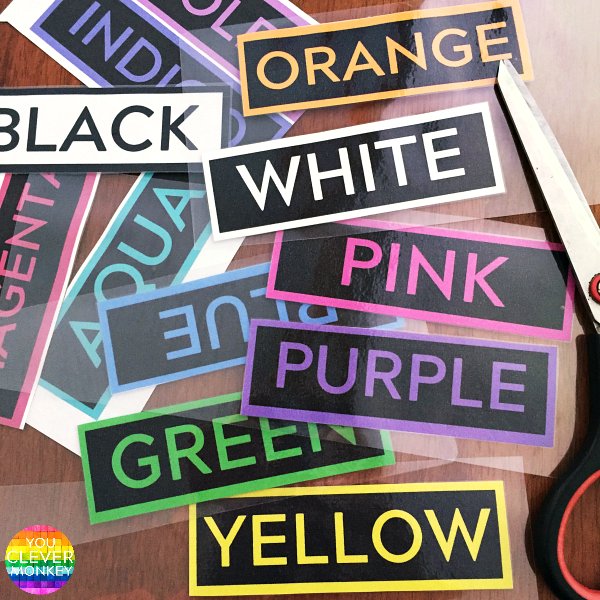 You can also check out the hashtag #easyplayidea on Instagram for more ideas to promote play in your house.